Old map by BLAEU - Anglia Regnum. Condition: Paper slightly age toned, top margin frayed, paper crease to centerfold - else very fine. Wide margins, a strong impression. 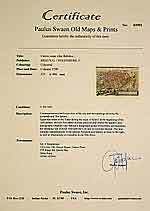 German text to verso. FIRST EDITION, FIRST ISSUE OF THIS MAP. 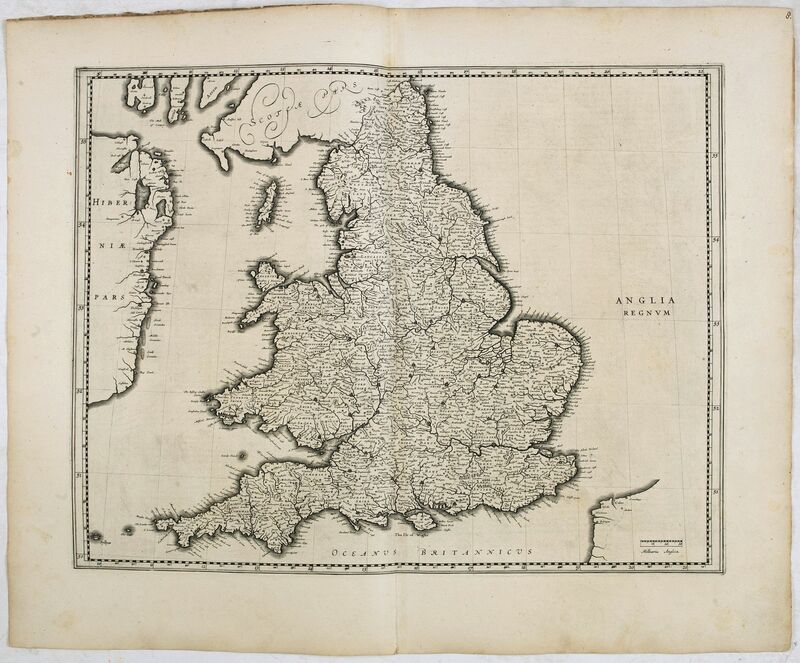 A scarce first edition (often listed as proof state) of Willem Blaeu's map of England and Wales. Blaeu was the first publisher to bring out a new map of England and Wales. The outline and place names are taken from English cartographer John Speed with county boundaries marked but no border figures. Blank spaces seen where later Blaeu fills them with two finely engraved coats of arms, those of Great Britain and Ireland. Reference: Shirley, Early printed maps of British Isles, 440.V.d.Krogt, Atlantes Neerlandici, Vol 2, 2:131.1..